Barcode CCD Camera adalah antara barcode reader yang lain selain Barcode Laser Scanner Code Soft. Berikut adalah demo menggunakan barcode CCD camera. 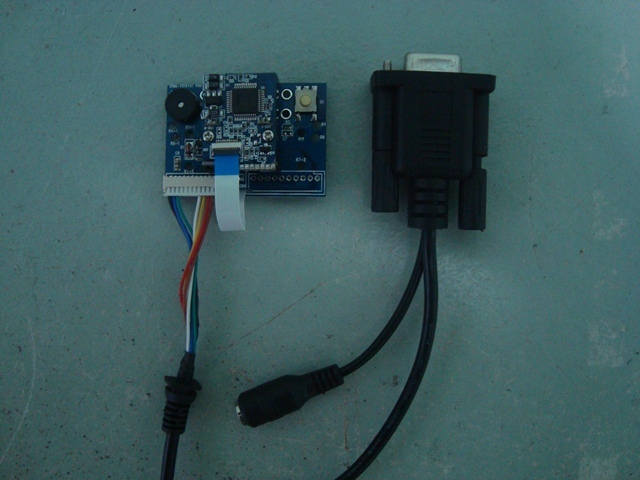 I like to interface USB barcode scanner with PIC MICROCONTROLLERS (PIC16F1938) using USB to TTL converters. 5V power separately given from the same USB to TTL converter. given to But unable to succeed. Any help would be highly appreciated. USB barcode reader details: USB interface, PS2050 (POSTEKTRONICS), USB HID. If we connect it to PC win7, it works fine and displays the decoded information in Notepad. Barcode scanner powered correctly when connected to PIC MCU through USB to TTL converters. I was expected the data (as we receive in RS232 MODE) from USB scanner when reading the barcode. But, nothing has happened. I came to know that the host should initiate the transaction and set the timing. I don’t have much knowledge about the USB protocol. Can you please help me to receive the data from Barcode Scanner?